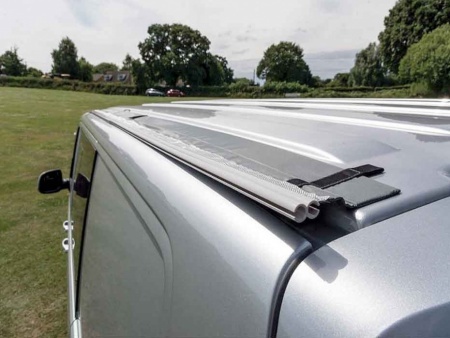 The Kampa Magnetic driveaway Kit is the latest driveaway kit for campervan awnings. 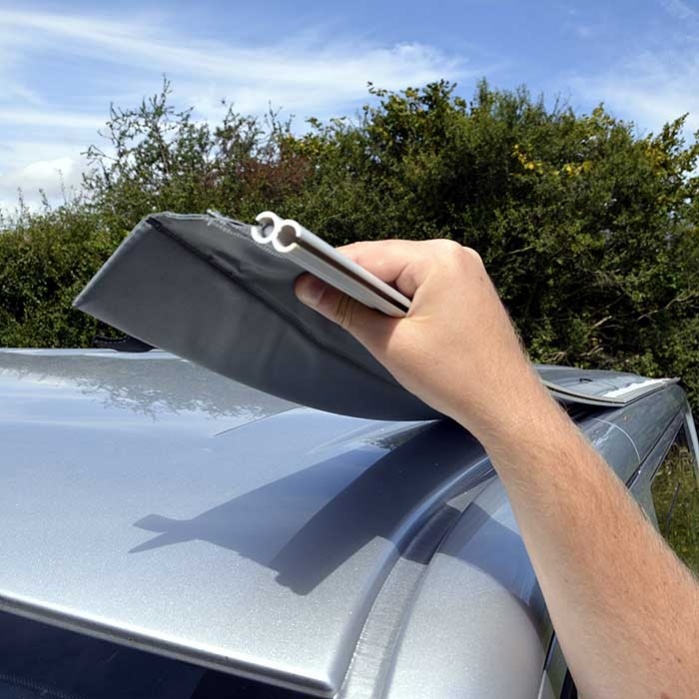 Simply attach the magnetic strip to the top of your vehicle in the desired position, hold the cowl/tunnel of your driveaway awning up to the side of the magnetic strip and the thread the 'Fiqure of 8 Strips' onto both awning beading. 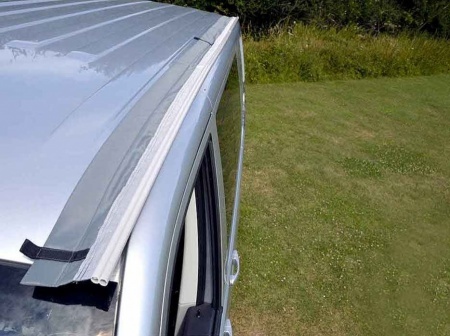 A quick and easy way to attach your motorhome awning to the campervan.